The Listening Machine is an ambitious project to generate automatically a continuous stream of music based on the activities of 500 Twitter users in the UK, from May to September 2012. The work was commissioned by The Arts Council in the UK for The Space, a pioneering public service joint venture between the BBC and The Arts Council to run between May and September this year, providing free access to the arts for anybody with a computer, smartphone, or Internet-connected TV. 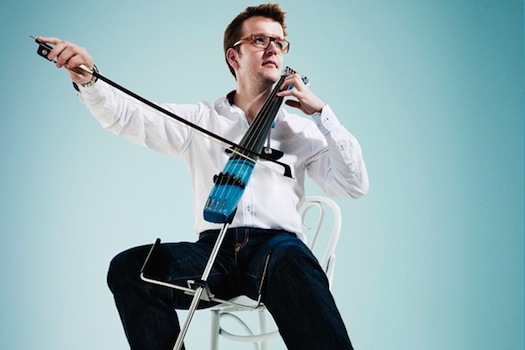 Composer and cellist Peter Gregson worked with designer and programmer Daniel Jones and The Britten Sinfonia to put the work together. I caught up with Peter to find out more about how this work was conceived and put together. It’s a quite fascinating project, and worth checking out. To hear The Listening Machine, please visit its web site.